Serephine and her twin brother Danny have just lost their father in a most unfortunate accident. As Serephine begins to look through her father’s belongings, she finds a photograph of her mother on the day of their birth. Her mother looks happy and but is holding only one baby. Which of them is it? And why, shortly after being photographed looking so content, did she fling herself off a cliff?? The Norfolk Coast and more specifically the Summerbourne estate provides an atmospheric backdrop for The Au Pair. The book is told in narratives alternating between that of Seraphine, who is desperately seeking answers to mysteries surrounding her own identity and Laura, the former Summerbourne nanny who may have the answers. The book quickly becomes a pager-turner and maintains a fast and easy-to-read pace throughout. The plot was very interesting with multiple layers to the mystery. I loved that the author chose to weave the element of local folklore into the story. It provided a little bit of rural charm which seemed quite realistic given the setting. 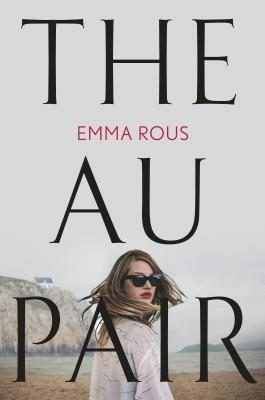 Overall, I found The Au Pair to be a very enjoyable read and an impressive debut. I would certainly look forward to reading Emma Rous’s next book. Enter the GIVEAWAY on the Lit·Wit·Wine·Dine Facebook page. It sounded like a good psychological thriller as you usually enjoy. A little surprised then at your rating. Not a satisfying ending at all. Perhaps I should reconsider my rating. It wasn’t such a *bad* ending. Just a smidge too neat. I think I had a disproportionate reaction to it as I couldn’t help comparing it to my overall experience with the book – which was very positive. I’ve been curious about this one, so it’s nice to hear you enjoyed it. Is there aver a psychological thriller where you don’t have to suspend at least a little disbelief? I think I’ve become a little more tolerant of it recently and that’s let me enjoy thrillers a bit more. You’ve made a fair point, Susie. I think I may have been too harsh. I have never adjusted a rating but I’m considering doing so in this case. That was my experience. I really enjoyed it overall though. I’m a tough customer when it comes to plausibility. Others may not have the same issues.